General Santos City – Happy 19th Tuna Festival my fellow Generals! 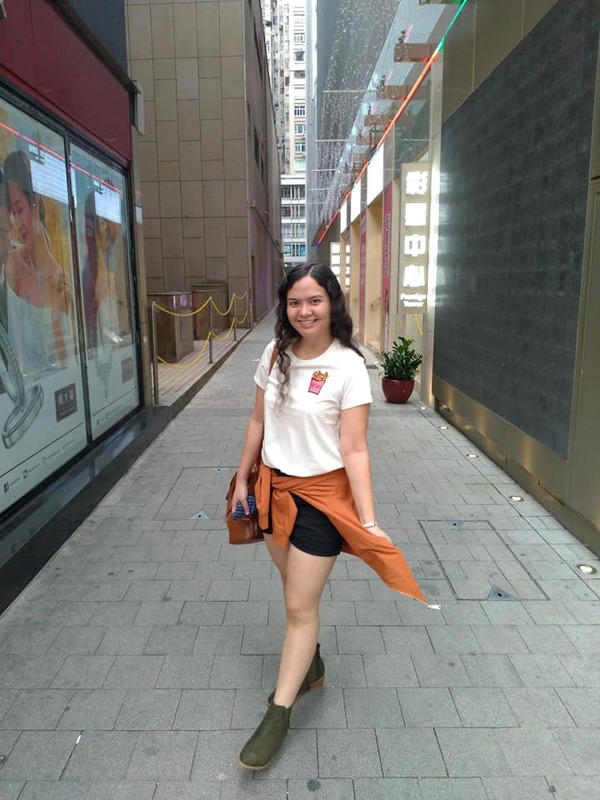 The Tuna Festival is an annual festival that culminates with street dancing, float parade, and a host of activities that celebrate the city’s leading tuna industry, it’s also a venue to relish some of its tastefully prepared local dishes with family, friends, and revelers. 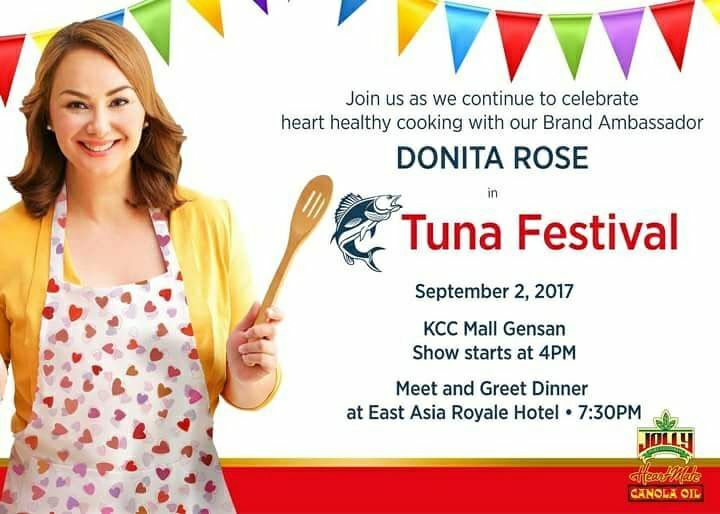 Earlier today (September 2, 2017) Jolly Heart Mate Canola Oil Ambassador / Celebrity Chef Donita Rose visits General Santos City and shared her passion in cooking at KCC Mall of GenSan, wherein the island’s abundant marine resources take center stage with tuna as one of its main ingredients. What is Jolly Heart Mate Canola Oil? LOVE YOUR HEART, LOVE YOUR LIFE, with your PERFECT HEART MATE! Canola Oil has the lowest amount of saturated fat or “bad fats” among all cooking oils, which increase bad cholesterol levels in your body that may lead to heart diseases. It has higher amounts of monounsaturated fat or the “good fat” that helps lower bad cholesterol levels in your body. Moreover, it contains heart-health agents Omega 3 and 6 which are essential to your heart, brain, and overall body development. Super thanks that masyado kaming malapit sa stage. Up close with Miss Donita and Kapuso Stars. Yey..
To know more about Jolly Heart Mate Canola Oil, like their page on Facebook.